ohhh, love the pic above fireplace, how interesting. ooooh Anita. I think I'll dream that with you. Just for fun. I am dreaming of some snow & I love the thought of adding more roses to my garden (can't have enoughg roses) along with a big white arbor to enjoy them from with a swing. I love to sit on a swing & contemplate the world. What a beautiful home, I could see myself puttering around that fantastic kitchen. Ohhhh.... I love this home and a fire in the fireplace would feel good right about now. This is amazing!! 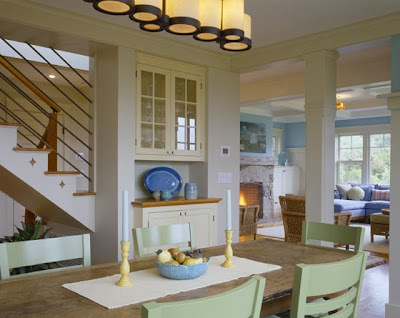 Very beautiful house.I am so glad to found your blog! The pictures are beautiful! 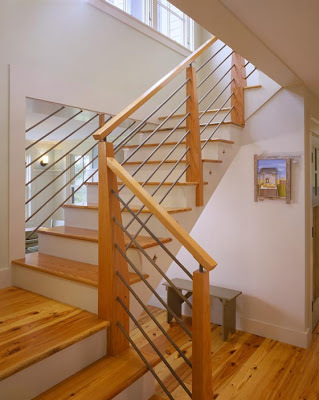 Love the pine floors! I'm dreaming of new beginnings and high hopes realized. I'm dreamin' of health, happiness and prosperity in 2009! and continued inspiration from you and all the other fabulous bloggers out there in the blogosphere! A white Christmas, Linda! They keep dangling it in front of us then jerking it away! We had ice, sleet and a smidgin of snow last week. Just a little snow on Christmas would be nice. Anita's idea sounds nice. Would you believe we took all the quilts etc, to the lake to wash in the larger machine at the condo....and left them there? What were we thinking!! This home is beautiful. 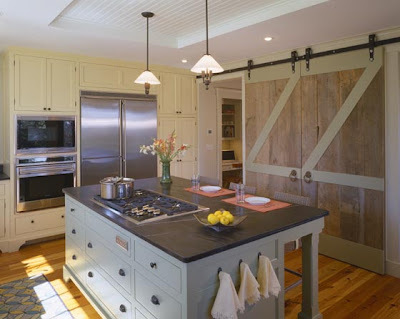 I like the barn door too. I've seen that used elsewhere but don't remember where.